California’s Office of Environmental Hazard Assessment (OEHHA) proposed new guidance for providing clear and reasonable warnings for rental cars. Sections 25607.36 and 25607.37 would offer specific information regarding the content of safe harbor warnings for rental car exposures and the methods that rental car companies should utilize to issue those warnings. The deadline for public comments is April 22, 2019. OEHHA provides tailored safe harbor warnings for exposures to listed chemicals from vehicles purchased for consumer use under Section 25607.16 and 25607.17. Warnings for vehicle exposure must: (i) be printed in the owner’s manual for the passenger vehicle or off-highway motor vehicle in at least 12-point type in a box and affixed to the front or back cover of the manual or on the first page of the manual’s text; and (ii) be provided on a label affixed to the front window on the driver’s side of the passenger vehicle or off-highway motor vehicle (or another visible location if not on the driver’s side window). However, OEHHA has determined that these warnings methods may not be sufficient for rental cars. OEHHA specifically expressed concerns that a tailored warning identifying the vehicle as a rental car could present public safety concerns by, for example, inadvertently inviting auto burglaries. 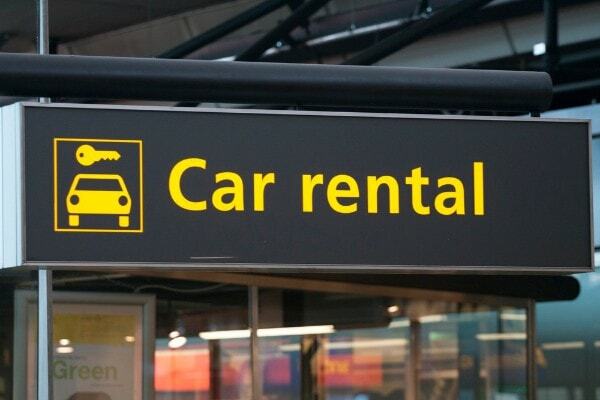 To account for other concerns directly related to rental cars, the proposed regulation offers several options for issuing rental vehicle warnings. Provided in a clearly marked hyperlink using the word “WARNING” on the reservation page. OEHHA believes that the proposed regulations regarding the content and method of transmission for rental car businesses to issue warnings to their customers will help promote compliance with Proposition 65 without identifying the vehicles as rental car, which could create safety concerns.